The oceanic whitetip shark is a large pelagic shark that lives in tropical and warm temperate seas. This shark goes by many common names in English, such as brown shark, whitetip shark, nigano shark, whitetip whaler, and Brown Milbert’s sand bar shark. It was first described by the Naturalist, René-Primevère Lesson in Louis Dupprey’s world circumnavigation journey on the Coquille in 1822 – 1825. In this account, Lesson described two specimens he saw that were found in French Polynesia’s Tuamotu Archipelago, but sadly lessons were not learnt as his name and description were forgotten. Lesson called his description the “Squalus maou”, after the Polynesian word for shark. It was next described as Squalus longimanus by the Cuban, Felipe Poey, in 1861. 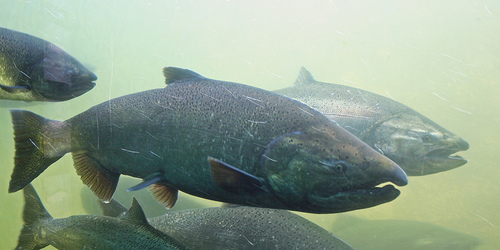 In Latin, ‘longimanus’ means ‘long hands’, and this refers to the long pectroral fins that this species has. The most distinguishable physical characteristics of the oceanic whitetip shark is its long, rounded, white-tipped, wing-like dorsal and pectoral fins. These fins are much larger than most other shark species and are rounded. 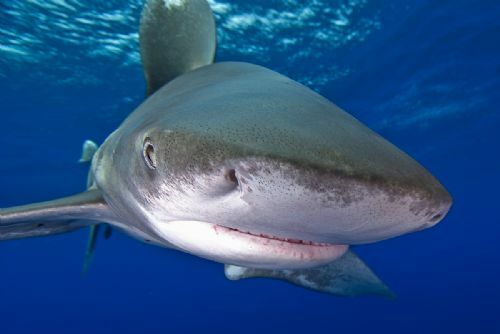 The nose of this shark is rounded, and its eyes are circular. 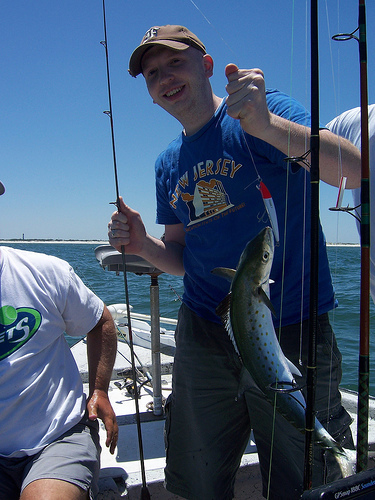 It has a typical stocky shark body, but it is slightly flattened and has a mild humpback. The colour of the shark is usually grey, blue, brown, or bronze in the dorsal area and white ventrally. Its maximum size is 4 metres long, but it is 3 metres long on average. 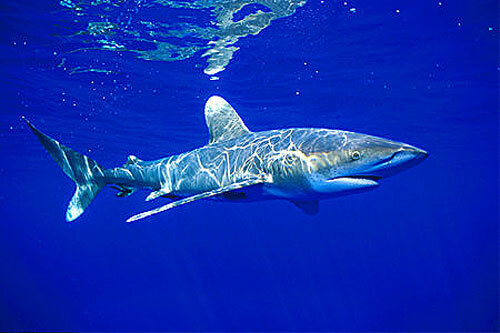 The oceanic whitetip shark is found in deep and open water that have temperatures between 20 °C (68 °F) and 28 °C (82 °F). If it falls below 20 °C, then these sharks will go away from these regions. It spends most of its time on the upper-layer of the ocean, which has a depth of 150 metres (490 feet). According to data, it is found close to mid-ocean islands such as Hawaii or in areas where the continental shelf is narrow and there is access to deep water nearby. These sharks eat bony fish and pelagic cephalopods most of the time. Their diet can be more varied though at times, as it is known to eat stingrays, threadfins, birds, sea turtles, crustaceans, gastropods, carrion, mammalian, and even rubbish that has been dumped from ships! The types of bony fish that it eats include jacks, barracuda, oarfish, lancetfish, marlin, dolphinfish, mackerel, and tuna. In fact, its feeding methods include biting into groups of fish and swimming through schools of tuna with an open mouth. If it is sharing a feeding zone with other species, it will become aggressive. The oceanic whitetip shark is commercially important, due to its meat, fins, and oil. Its meat is eaten dried, salted, smoked, or fresh. Its hide is used for leather. Its big fins are highly valued as it is the main ingredient in shark fin soup. Would you like to get up close and personal? Jacques Cousteau, the famous oceanographic researcher, once descrbied this shark as the most dangerous of all the sharks. Despite the fact that the great white shark and others are much more famous throughout the world, the oceanic whitetip shark is actually more responsible for more fatal attacks on humans than all other species combined. This is a rseult on predation on shipwreck survivors or downed aircrafts.